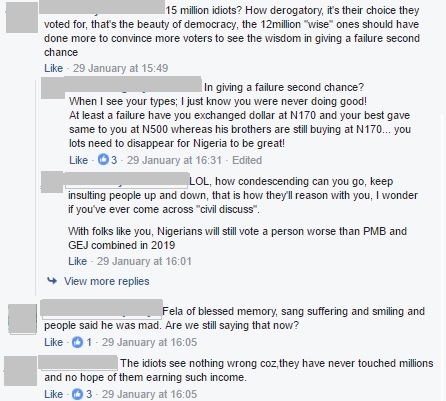 The lady savaged Buhari and one user was chewed and spat out (theoretically) after he tried to defend the “15 million” people that may have voted for Mr.President. 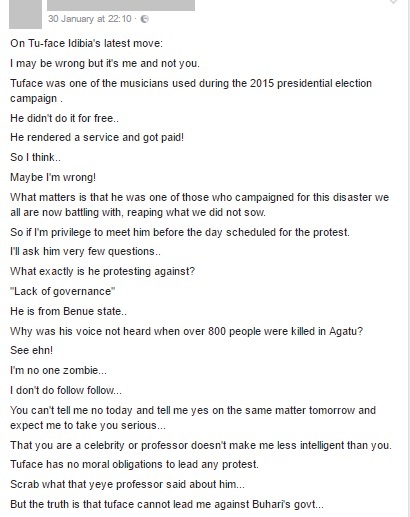 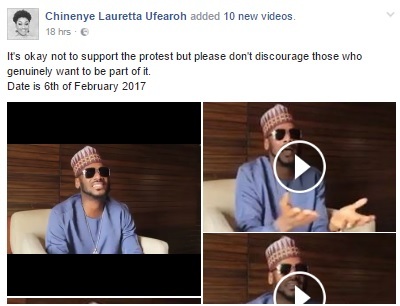 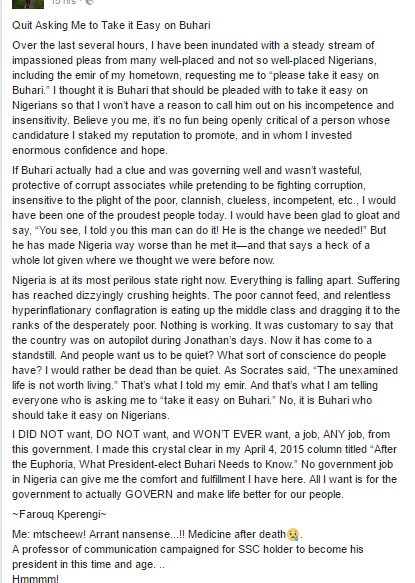 Another Britico, a Business Analyst and inspiratior to over 17,000 people on FB diplomatically showed her support for #Istandwithnigeria and “baba, attracting praises for Tuface. 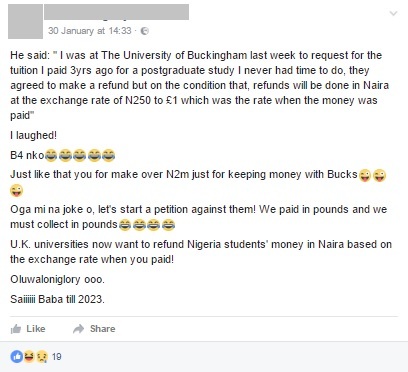 Many Nigerian Briticos may not be experiencing the current hardship but are been affected directly/indirectly so it is yet to be known if a similar protest will take place Nigeria’s High Commission in London. 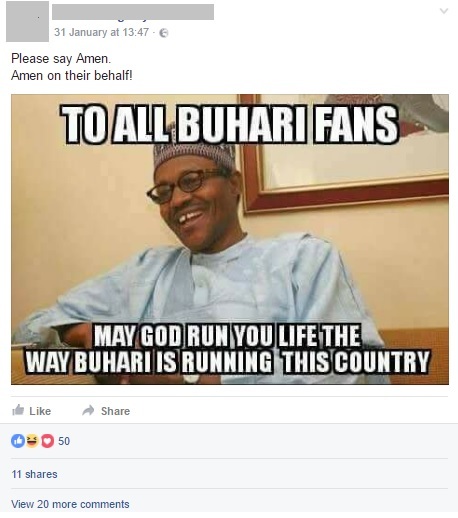 UK Nigerian, Worldwide Nigerian Briticos and around world attack Buhari's presidency Bookmark the permalink.